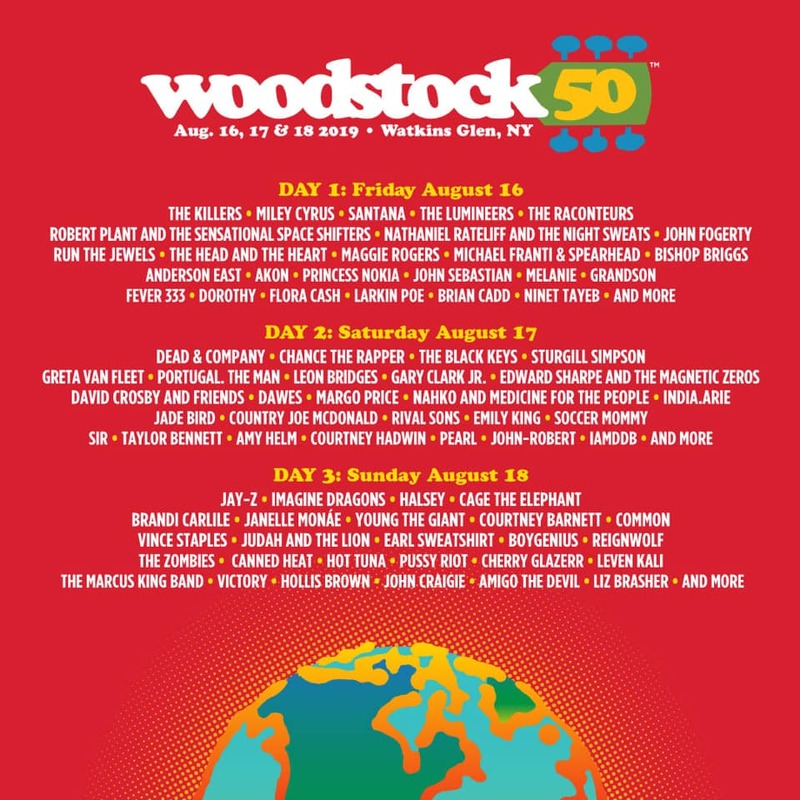 Just a few months ago it was announce that Woodstock would be making its return this coming August for its 50th anniversary in Watkins Glen, New York. Woodstock co-founder Michael Langpromised an ‘eclectic’ bill with a mix of old AND new artists. Back in 1969, Michael Lang, Artie Kornfeld, Joel Rosenman, and John P. Roberts came together to help create what would unintentionally become arguably the most iconic music festival in history, Woodstock. 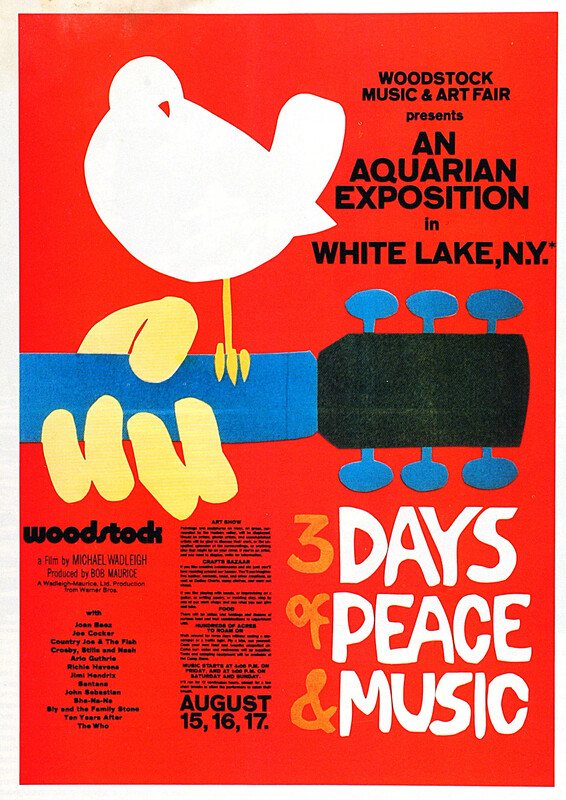 3 days of peace & music, but also a lifetime of memories and a legacy that’ll simply never be matched, Woodstock wasn’t just a three-day concert, it was, and is, a symbol of peace and love that is still strong today. Now, the lineup for this coming festival has been announced and, boy, it’s a doozy! A truly unique lineup that should bring in fans of the old and a newer generation. This lineup features such classics as Santana, Robert Plant, and John Fogerty yet also features newer bands and artists such as Greta Van Fleet, Imagine Dragons, and Gary Clark Jr. among many, many others. There’s absolutely no doubt that this festival (which spans three days) will feature some truly iconic performances. Will it be EXACTLY like the original? Probably not, but you can bet that Michael Lang and the powers that be at Woodstock will make damn sure that this concert is a great one. No word yet on when tickets go on sale, but truth be told, we all know that they’ll out in probably half a second. Woodstock was actually brought back before in 1999, but with things going wrong left and right, the endeavor was considered a catastrophe. This year’s festival proves to be a much more promising one. Time will obviously tell, but we should DEFINITELY get excited nonetheless! See Meat Loaf Throughout The Years Of His Career In These Memorable Photos!